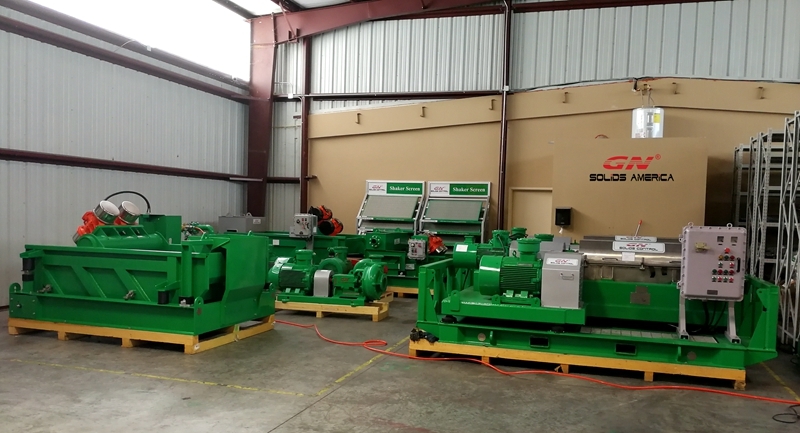 GN Solids Control is the first one Chinese solids control manufacturer who enterred in to US market and has warehouse and separate brand in Houston USA. GN Solids America is a 100% subsidiary of GN Solids Control. GN Solids America is existing in Houston USA for over 5 years. And now it becomes a more and more famous brand for mud solids control equipment, drilling waste management equipment and replacement shaker screens. 1) The NO. 1 sales product from GN Solids America is high quality replacement screens. GN Solids America is not only make and offer replacement screens for his own shaker model, but also offer replacement screens for other famous shaker models, like replacement screens for Swaco Mongoose shaker and ,mud cleaner, for NOV Brandt Cobra and Venom shale shaker and mud cleaner, and replacement screens for Derrick serious shale shakers. 3) Solids Control shale shaker is another hot sale equipment from GN Solids Control. Many customers when they visited GN Solids America warehouse and checked GN shale shaker, they are happy with GN advanced shaker design: the patent design sealing rubber and shaker deck angle adjustment system, the fast screen changing system. Another reason clients prepare GN shale shaker is that, shaker screen is a big part wearing parts for shale shaker. They know GN Solids Control is also the original manufacturer for replacement shaker screens. They can get high quality replacement screens from GN Solids Control with good price and fast delivery.